Leaking pipes/lines. Whether they are under the sink, connected to the toilet, or running into your home and through your interior walls; water pipes and lines are not supposed to leak. Period. If they do, a serious flood may be in your future, so call a plumber pronto. Your sink, tub or shower is slow to drain. The reason could be anything from hair to food debris to kids’ toys to invasive tree roots. No matter what it is, a clogged drain pipe or garbage disposal won’t unblock itself and could lead to damaging overflow. Our plumber will quickly determine where the blockage is and deploy an auger/drain snake to unclog the drain. No hot water. This almost always means a water heater issue. It could be that the water heater is simply not working and heating water. Or it could mean that a tank breach may be imminent and that is one thing no one wants to see. We stand ready to repair or even replace your water heater with our full line of A.O. Smith and Rheem units. New appliance installation. Many homeowners run into issues when they try to install new appliances that require water hook-ups. Let our certified plumbers make sure your refrigerators, washers and dishwashers are properly installed. Runaway toilet. A running toilet is an indication of a few things: a faulty seal between the toilet and tank, and a rising water bill. This issue often goes unnoticed, but it can be costly if not taken care of quickly. 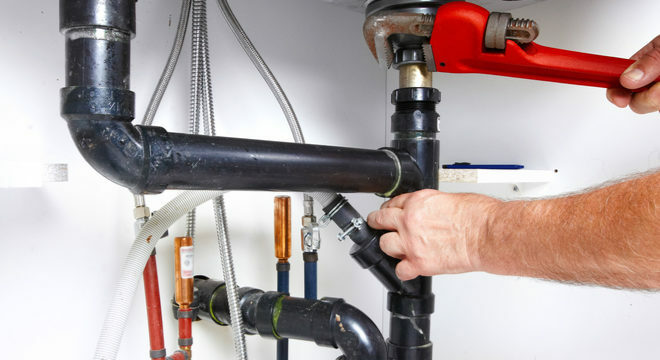 Some plumbing issues are easily remedied while others can quickly turn into emergencies. Either way, make it easier on yourself by giving us a call and scheduling plumbing maintenance. We can also tell you about a great way to detect and prevent plumbing disasters from happening by signing up for our Armstrong Service Agreement Plan (ASAP). Our Prestige Protection ASAP includes annual plumbing inspections and discounts on plumbing parts, which can help protect your plumbing system and save you money. Better Call Armstrong, friends, and don’t forget to like us on Facebook and follow us on Twitter.